Martha and I met, again, to fine tune my basic muslin; Martha pinned in some changes to the muslin. In the back view you can see some wrinkles in the muslin: near the shoulder blades and through the armhole & upper sleeve areas. 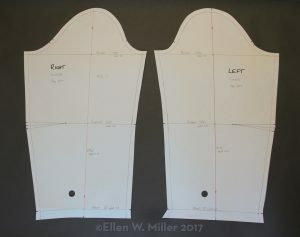 I decided not to fuss with this “small” fitting issue; I am calling it “wearing ease”- which it is… If this were a knit fabric muslin I would be more concerned, but since it’s a woven I’d rather have the wrinkles and the wearing ease. Because my shoulders are not the same height my fronts need to be different right to left. Also my right and left arm holes are slightly different from each other, meaning I need 2 sleeve patterns; one right, one left. Here are the perfected patterns copied onto to poster board; my local store doesn’t stock oak tag. My shoulders are rounded so the front bicep length is shorter and the back bicep length is longer. Can you find the major mistake I made in the sleeve patterns? Yup, the elbow dart is in the front part of the sleeve when it should be in the back! Back to the drawing board with these sleeves. These bodice and skirt patterns are not flawless, either. Not all the seams are exactly the same length, the notches may be a little off, the skirt hem is a little crooked, etc. 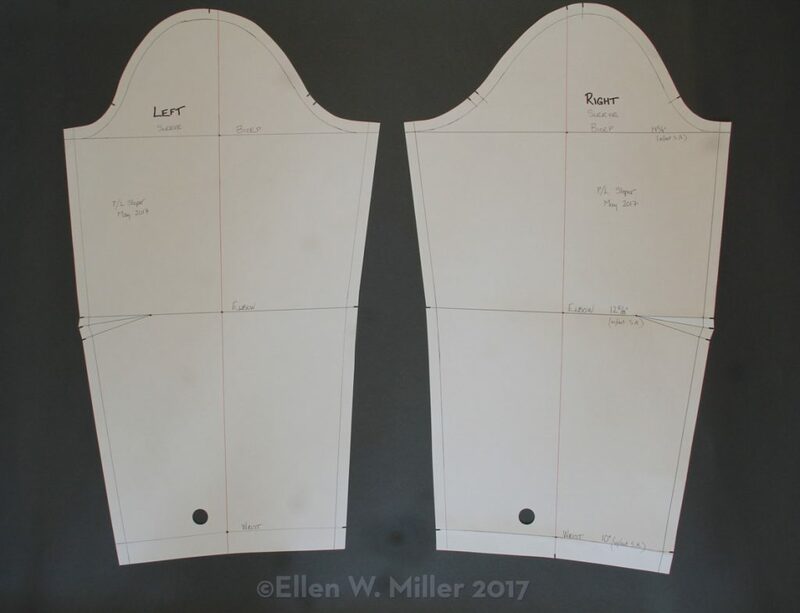 Still, they are ideal for me; I’m ready to move forward in my quest for custom, stylized garments– after I fix the sleeve patterns. P.S. 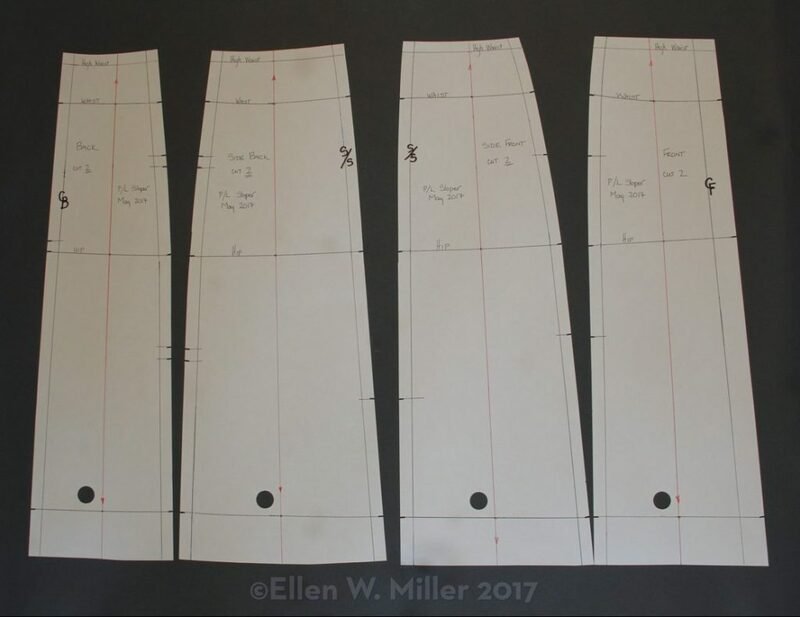 Here are the corrected sleeve patterns.